rigorousintuition.ca • View topic - The “Alternative Right"
What's a conspiracy theory? They don't say. However, alt-right discussions regarding ice have gone well beyond these sort of reflexive attacks on immigrant rights politics. Anglin proclaimed that ice is Trump’s “Praetorian Guard,” the only non-corrupt federal enforcement agency, which the president will use to implement martial law and impose a dictatorship.13 As with many of Anglin’s statements, it’s hard to know to what extent he was being serious and to what extent he was just mixing wishful thinking with provocation for its own sake. In contrast, VDare columnist Federale has long argued that ice is a sham immigration enforcement agency that actually prefers to target non-immigrants.14 R. Houck of Counter-Currentswent much further, declaring that all police and federal law enforcement agencies are part of a “hostile occupation force” and “are used first and foremost to protect Jewish interests.” Reversing the arguments of Black Lives Matter activists, Houck claimed that police actually are more likely to use deadly force against whites than blacks, and that “all bias in policing is in fact against the white race.”15 These assertions, aimed to counteract many rightists’ pro-police sentiments, highlight the difference between system-loyal and oppositional versions of right-wing politics. Despite (or because of) media coverage, racial dissidents have lost the ability to organize openly, while the socialist Left has gained in strength…. The established conservative movement has largely cheered this process. The Trump victory did not lead to a more welcoming environment for identitarians within the gop but increased scrutiny and barriers. The Republican message of “economic growth” is uninspiring compared to the Democrats’ racial socialism, especially when corporate America and economic elites are more favorably disposed towards multiculturalism than they are to Trump-style nationalism. Unless President Trump can truly transform the gopinto the “Workers Party” as he promised during the campaign, it’s unlikely his coalition will last. No big beef here, some good stuff, but poor definition of Fascism at the outset, rather just describing white supremacism. Boiling down Fascism to three points about race and immigration does injustice to understanding what Fascism is and why it's important. 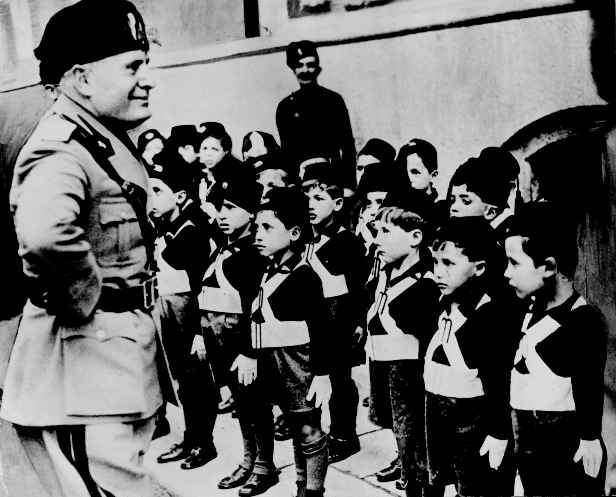 Around 1970 in junior high school I wondered to a friend whether "fascism" might emerge in the U.S.; the teacher overheard me and interrupted to tell me I was throwing words around that I might not understand and that basically maybe I should shut up. All in all she was a wonderful teacher, but fifty years later, it's here, I'm right! Ha! I think Matthew Lyons at threewayfight draws together some really good thinking on the far right but also Roger Griffin, Robert Paxton, Alexander Reid Ross, Shane Burley, Don Hamerquist, J. Sakai all have important- and unique- ideas. It's rather like the blind men and the elephant- there will be no final definition agreed to by all. Arktos’ books are easily available via their own website and the internet retailer Amazon. YouTubers and message boards dedicate themselves to the ideals proposed by many of the authors published by Arktos—decrying democracy, multiculturalism, “cultural Marxism,”[iv] and “degeneracy,” whilst lauding masculinity and nationalism, inciting Islamophobia. In fact, today, many of Arktos’ editors and authors are closely associated with proud American white nationalist, Richard Spencer. Over the course of this series, readers will be introduced to a hybrid print/digital publisher that has brought esoteric, fascist ideologies back from the grave. Each installment will delve into another aspect of the media company, outlining Arktos’ history, while describing more broadly the ways its collaborators are using both the internet and analogue media to promote fascistic ideologies. This “draft history” of Arktos will explore the publisher’s ideological underpinnings, and explore how Arktos has promoted the rise of a fascistic, “Identitarian” trans-European youth movement, “Generation Identitaire” (Generation Identity), which has grown prominent in Austria, France, the United Kingdom, Norway, Germany, Spain, Italy, the United States, and beyond. With an eye toward understanding Arktos’ extension vis-à-vis print and digital technologies, over the course of this series, readers will be introduced to a selection of Arktos’ history, writers and publications to investigate the reception of that material in the public sphere. The Alt Right had a meteoric rise in 2016. It was only late in the year that it started to separate itself into two wings. 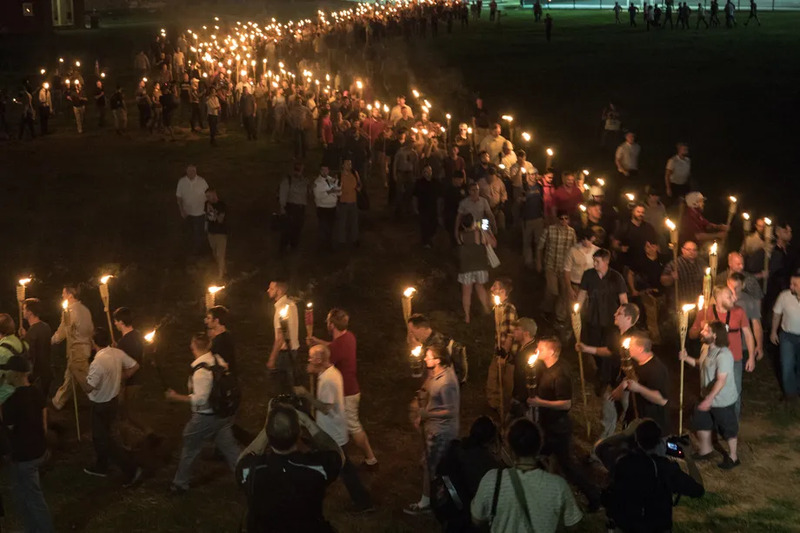 One, the Alt Right proper, largely followed the longstanding White Nationalist movement, but was different in its smaller details—its leaders, social base, aesthetics, and organizing forms. The Alt Lite shared the Alt Right’s cultural and organizing forms, and many of its politics, but stopped short of calling for a white ethnostate and open antisemitism. It also allowed in people of color, gay, and Jewish members. This stance led to its close cooperation with militia members and the Trumpist wing of the GOP. The Alt Right was able to revive the U.S. White Nationalist movement, which had been in a long slump. A series of demonstrations and clashes in early 2017, led by the Alt Lite but joined by the Alt Right, culminated in the August 12, 2017 Unite the Right rally in Charlottesville. However, this rally was dominated by White Nationalists, and the planned speakers were a Who’s Who of the Alt Right. After street fights with antifascists, the police prevented the rally from actually taking place, and dispersed the crowds. But the day ended when one of the fascist activists rammed his car into an antifascist march, killing Heather Heyer and wounding 29 others. The Alt Right also moved away from Trump. They disagreed with his April 2017 bombing of a Syrian air base under Bashar al-Assad’s control, as well as Trump’s strong support for Israel. His economic policies also clashed with many key Alt Right figures, who support social welfare economics—at least for white people. By March 2018 the Alt Right hit a low point. 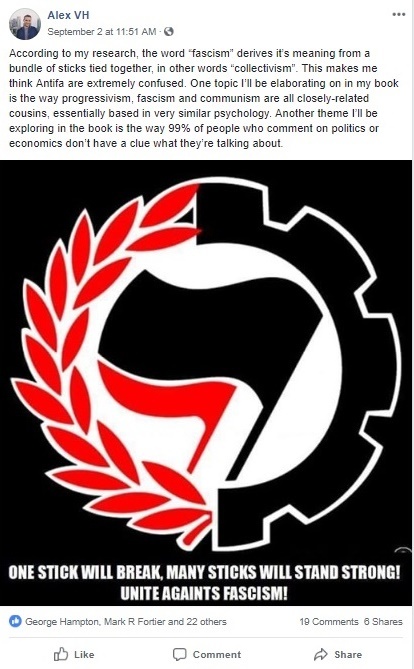 The Traditionalist Worker Party, the only group consistently able to mobilize a street presence, folded after a scandal: their leader was caught sleeping with his father-in-law’s wife. Alt Right leader Richard Spencer’s university speaking tour, which had already run into problems, was cancelled after a disastrous appearance in Michigan. And Alt Right figures—especially those who had attended Charlottesville—continued to be doxxed and fired from their jobs. This left only two active, on–the-ground Alt Right groups (the Patriot Front and Identity Evropa), and they focused on unannounced, pop-up demos. A number of White Nationalists entered the spring 2018 election primaries, but most have been soundly defeated. This downturn did not affect Trump or his more mainstream supporters. The Alt Lite had also lost its momentum in street rallies. But Patriot Prayer’s Joey Gibson was able to revive them in the western states. The Alt Lite fight gang, the Proud Boys, also avoided collapsing after Charlottesville, and are now a growing—and increasingly violent—group. The Alt Lite also has the advantage of avoiding the public taboo against White Nationalism. Unlike the Alt Right, ideologically the Alt Lite is unreservedly pro-Trump, supports his fiscally conservative economic policy, and is pro-Israel. This allows Alt Lite members to portray themselves as regular Trump supporters to the public. Around 400 (including members of militias) attended an August 4, 2018 Patriot Prayer rally in Portland, Oregon; many were dressed in body armor and carrying shields. The counterprotest, which drew over 1,000 people, was attacked by police with crowd control weapons and dispersed. The organizer of the first Charlottesville rally, Jason Kessler, held a second one in DC on August 12, 2018. While less than 30 people came, the counterdemonstration drew about 1,000. But Leftist victory claims overlooked that after the first rally, Kessler had fallen out with almost all of the speakers and groups which came to the first one. This was followed by rallies a week later on August 18— in cities like Tucson, Austin, San Jose, Boston, and Seattle—many of which were billed as against “far left violence.” Most of these were organized by Resist Marxism group, which combines Alt Lite figures with Patriot movement and militia activists. It ended as a debacle though: in most places, counter-protestors easily outnumbered the modest numbers of Far Right activists. Nonetheless, this shows a revival of interest by the Alt Lite and its Far Right allies to hold national street demonstrations. And they are still trying to build momentum. Upcoming events in September include a rally by the neoconfederate League of the South (who were at Charlottesville last year) in Tennessee; Joey Gibson is holding an event in Austin to defend conspiracy theorist Alex Jones; and the militia and Alt Lite groups are holding a second Mother of All Rallies (MOAR) in DC. It’s unclear where the Alt Right can turn next. They have drawn a new generation into White Nationalist politics. For the time at least, this new blood is not going away. But the Alt Right’s thunder seems to be stolen by the Alt Lite, who can function more openly. Their rank Islamophobia and aggressive misogyny has been normalized by Trump. So, for example, doxxing has no affect on them outside of extremely liberal areas. It is only as the level of Alt Lite violence has increased have those outside the radical left started to respond. 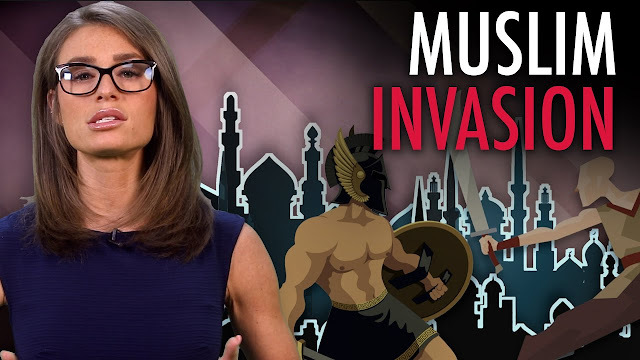 There is already an unheard-of level of open White Nationalist sentiment expressed by mainstream media and political figures, like Fox News hosts Tucker Carlson and Laura Ingraham. On August 8, 2018, Ingraham gave an on-air, baldly White Nationalist rant in which she claimed, “The America we know and love doesn’t exist anymore” because immigration was being “foisted” on Americans. This situation lends itself to the possibility that the Alt Right could collapse while its primary talking points will be taken up, in a more moderate form, by mainstream conservatives. The United States feels like it is teetering on a precipice, ready to fall headlong into a racist delirium at any moment. Whoever can channel the zeitgeist—whether it’s street-fighting fascists, Alt Lite gangs, or the president and his administration—will be the immediate beneficiary of this. This has been around for a few days now, and the Proud Boys have their heads in the sand about it. Eh, it’s not like we were going to buy what they try to sell us anyway. 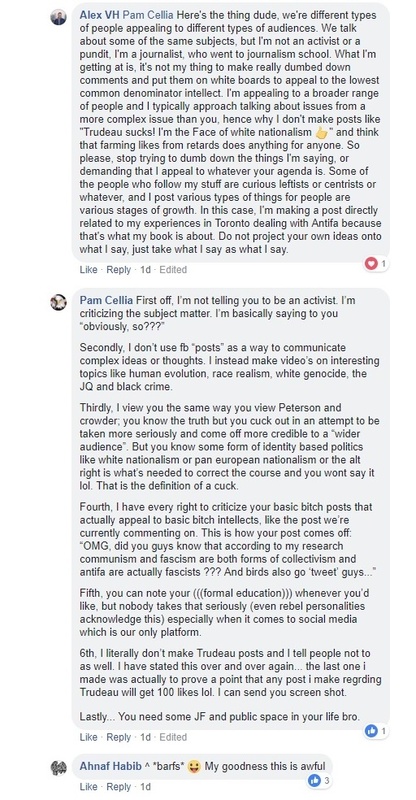 A since-deleted Facebook post on the page of Proud Boys Canada has generated heat against the group, because they defended the neo-Nazis that rioted and attacked innocent people in the streets of the German city of Chemnitz, implying they were the frustrated descendants of those who orchestrated what they referred to as “an efficient genocide”. The post was a link to a Daily Mail article about thousands of neo-fascist thugs taking to the streets in Chemnitz and engaging in racist mob attacks response to a knife killing, allegedly committed by a Syrian and an Iraqi and the protests that followed with some neo-fascists carrying banners or insignia of the neo-fascist Alternative for Germany (AfD) and neo-Nazi National Democratic Party (NPD) and a handful doing the right-handed Hitler salute, which is illegal in Germany. A series of flyers and booklets for handing out to the public about the far-Right, nationalism, and the Proud Boys.